Are Drake & Travis Scott Working On A Collaborative Project? 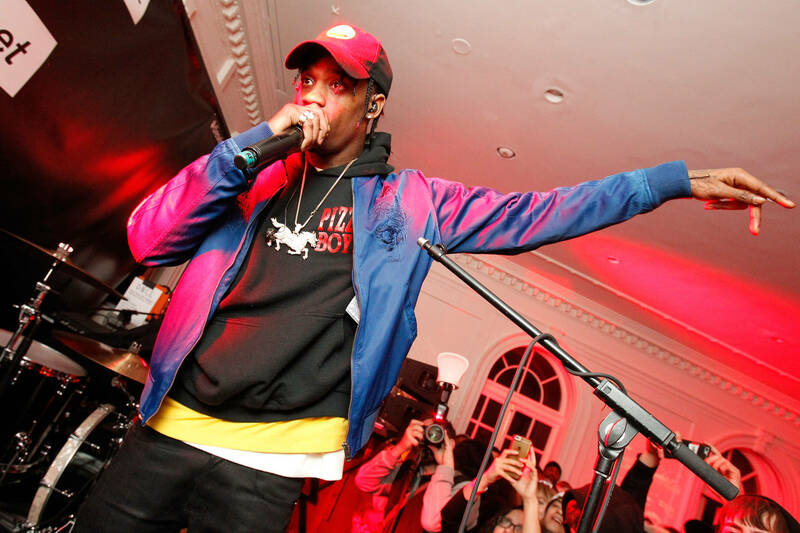 Home>Music> Are Drake & Travis Scott Working On A Collaborative Project? Travis Scott and Drake are "Up2something." Drake and Travis Scott's "Sicko Mode" has many people rallying behind the "Champagne La Flame" banner. Some have even taken to dubbing it the song of 2018. Now, with the collaborative album trend riding the post-2017 momentum, it seems as if Drizzy and Flame are eying the bandwagon. And why wouldn't they? In a streaming era, it stands to reason that a joint project would break records with utter ease. As it happens, the hype was kicked off by Travis himself, who took to Instagram to kick off a wave of speculation. Sharing a clip of a recent "Sicko Mode" performance, which found both himself and Drizzy obliterating the stage, Scott used his caption to send ripples through the community. "Champagne la flame “What a night," he writes, adding wandering eyes for good measure. "Up2something." Of course, it's entirely possible the "something" is merely a single, the inevitable follow-up to "Sicko Mode." But what is better than a single "Sicko Mode?" A dozen of them. Think of the streaming records that would be shattered by the endeavor. For what it's worth, both Drizzy and Flame are no strangers to the collaboration album game. Drake previously dropped What A Time To Be Alive with the legendary Future, and Scott dropped Huncho Jack, Jack Huncho with Quavo back in 2017. You think they can put their heads together for something magical? Sound off below. MUSIC Are Drake & Travis Scott Working On A Collaborative Project?